In operation as a florist's shop at Truro in 2004. Photo courtesy of Michael Young. Older sister of the still-operational Kingswear Castle of 1924, Compton Castle was withdrawn from service in 1962 and remained in south-western England. 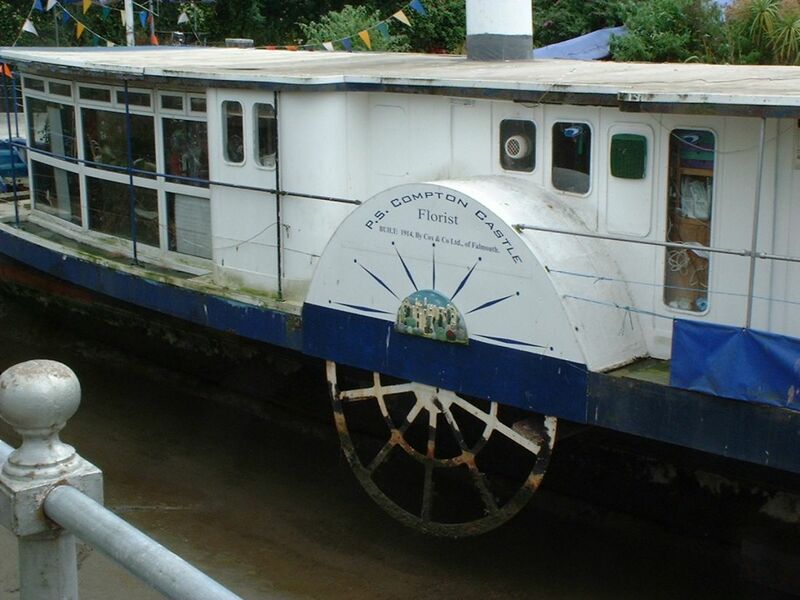 Although it once seemed that she would survive her elder cousin, the "Kingswear" was taken over by the Paddle Steamer preservation Society and after many years of dereliction, returned to service. Compton Castle remains in a much altered form, with engines removed, having been used for many years as a florist's shop. 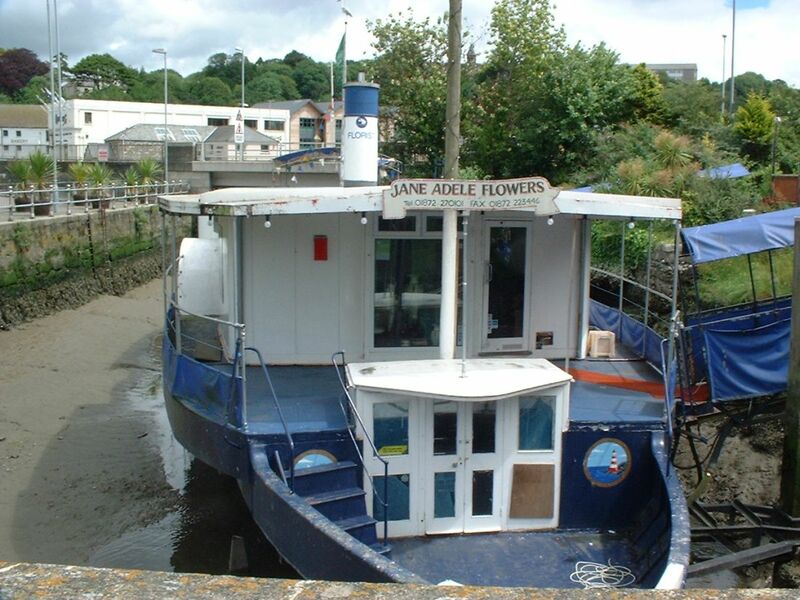 It had been proposed to turn her into a high-class restaurant under the auspices of well-known local chef Kevin Viner but the project was abandoned in 2010 due to insolvency and the ship went into the hands of property development company Porthia. 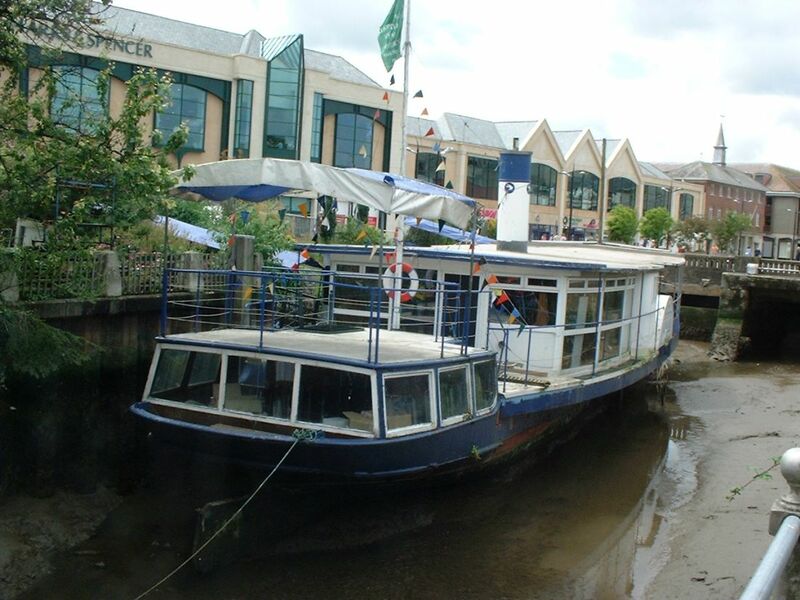 She was totally refurbished in 2010/11 with a flat deck, completely enclosed with a glazed structure and now operates as a coffee house in Truro city centre.